The beginning of the guided tour is approximately at 8am. Pickups from the arranged points commence at 7am. The hike on Mount Teide takes place a few times a week. We are comparing Tenerife Mount Teide Hiking Tour with Cable Car Prices from leading ticket suppliers and Try to find you Cheap tickets prices on the market. 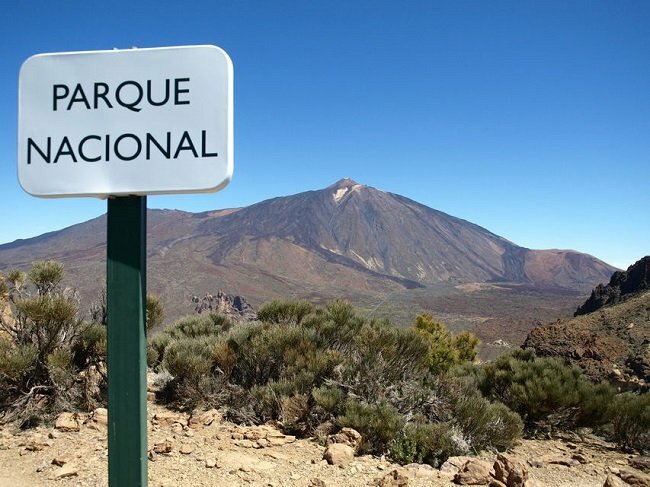 During the "Tenerife: Mount Teide Hiking Tour with Cable Car," you will benefit of transfer to the Mount Teide National Park and join a hiking tour there. To get to the departing point of the hike, you need to take a cable car ride (not included in the price of the guided tour). The cable car ride lasts approximately 8 minutes and reveals spectacular landscapes. The beginning of the hike takes place at the altitude of 3550 meters and covers final 170 meters of height for reaching the summit of the highest mountain in Spain. There, you will see the Mount Teide crater, an inactive volcano a long time now. From there, enjoy jaw-dropping views of Tenerife Island and the Atlantic Ocean. Along the way, landscapes full of attractive rock formations, solid petrified rivers and wild vegetations provide extraordinary photo opportunities. This hiking tour of the Mount Teide summit is both avanturistic and relaxing. Hence, it is ideal for adventurers, active people and all those interested in extraordinary photo opportunities. The tour is suitable for all ages and people with average fitness levels. Your Experience With Tenerife Mount Teide Hiking Tour with Cable Car? The mountain hike on Mount Teide will allow you to see magnificent landscapes and the surrounding area of the island of Tenerife. While enjoying a relaxing ride on the cable car, you will have extraordinary photo opportunities. During the ride and the hike, you will admire the other-worldly beauty of the Mount Teide National Park, consisting of rock formations, rivers of petrified lava and wild flowers. Finally, you will always remember sweeping views from the highest mountain in Spain. What Tenerife Mount Teide Hiking Tour with Cable Car Includes? The pickup service takes place at the beginning of this popular outdoor activity. Transfer by an air-conditioned vehicle is available. The tour is led by an experienced and professional guide. All permits necessary for the hike on the Mount Teide summit. For the Mount Teide expedition, bring warm and layered cloth because temperatures up there are lower than in the resorts and by the coast. Bring sunglasses and have sunscreens at hand. Open your eyes widely during the cable car ride; you will experience marvelous vistas. Travelers Reviews about Tenerife Mount Teide Hiking Tour with Cable Car? On Get Your Guide, the rating of this activity is 4.8 out of 5. Reviewers on Viator gave it the 4 rate. The rate of the tour on TripAdvisor is 4.5. Travelers who took the hiking tour of Mount Teide describe it as a fantastic experience for the most part. They enjoyed panoramic views of the island, the organization and the information they received. The activity isn't suitable for people suffering from disability issues. Printed and electronic vouchers are both valid for this outdoor activity. If you cancel the tour in a timely fashion, you will receive the full refund. Please bring your personal ID. You should also have water, sunscreen and sunglasses during this activity. Warm clothes are also necessary because the temperatures drop significantly as you ascend Mount Teide. If you are a pregnant woman, you should avoid this hike. The guided tour also isn't suitable for people suffering from the hearth or breathing issues. The tour begins at the specified pickup or meeting point.